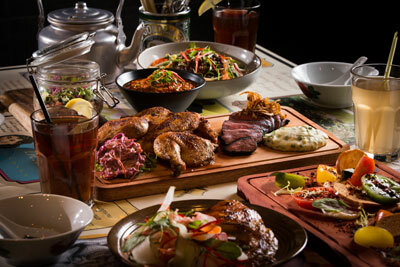 Enjoy over 12 dishes, a complimentary Herbarium Jug + pack of limited edition Halia “Celebration Pink Packets” (10pc/pk) with every feast ordered. 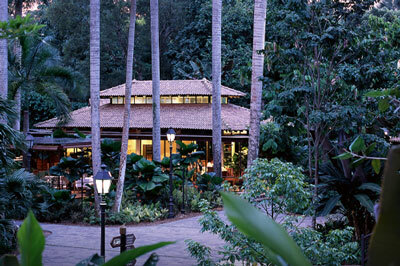 $240.00++ per feast (for 4-6 persons). T&Cs 1. Available during dinner-service only • 2. Not applicable with other discounts • 3. Dish change is only allowed for dietary-restriction reasons and subject to availability • 4. Reservations recommended • 5. Price is subject to 10% service charge and 7% GST. Enjoy the taste of Halia in your own home or office this Ramadan. Pre-order our latest Ramadan Communal Feast with over 13 dishes delivered in ready-to-eat boxes. $299+ (Feast for 5) / $549+ (Feast for 10). Plus enjoy Free Delivery with minimum $100+ order from 30 April – 28 May 2019. T&Cs 1. 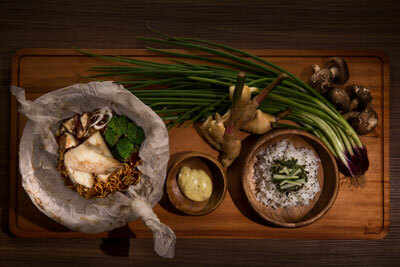 Use promo code “FREEDELIVERY” for complimentary delivery on Drop & Go: Communal Feast or A la Carte offerings with minimum $100 spent (valid from 30 April – 28 May 2019 • 2. Use promo code “HALIA18” for 18% Off Buffet, Drop & Go: Communal Feast or A la Carte offerings (valid till 31 December 2019) • 3. Pre-orders open from Tue 30 April 2019, Last pre-order on Tue 28 May 2019 • 4. Minimum 4 days advanced pre-order required. T&Cs 1. Present “HFH’s Friends” card before ordering • 2. No minimum spending required • 3. Not applicable with other promotions or banquet events. 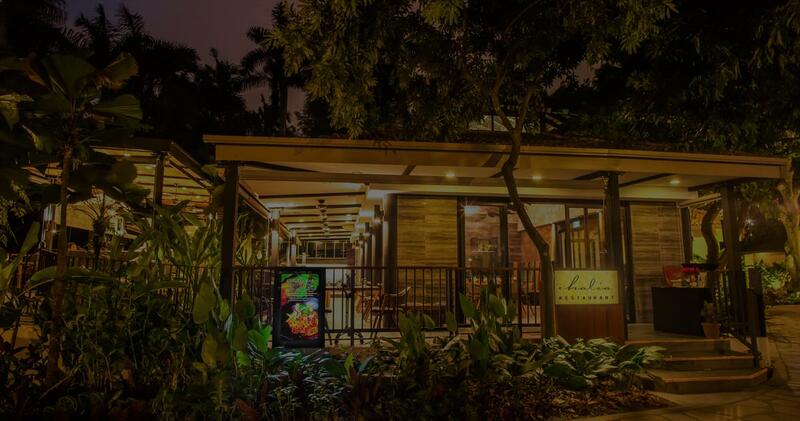 Enter promo code “HALIA18” at check-out to enjoy 18% Off Halia Catering’s Buffet, Drop & Go: Communal Feast and A la Carte services in celebration of Halia’s 18th anniversary. T&Cs 1. Not valid for HC’s Lunchbox/Bento, Cafeteria and Formal Set Menu packages. Save 50% off your total bill during stipulated off-peak hours only. T&Cs 1. Purchase dining voucher for 50% less its value • 2. Applicable off-peak timings (Mon – Thu 8:30am – 9:00pm; Mon – Fri 9:00am – 10:45pm; Mon – Fri 2:15pm – 5:00pm; Fri – Sat 9:00am – 9:45pm) • 3. Vouchers must be purchased Chope following table booking, prior to dining (last minute voucher purchases will not be accepted) • 4. Diners must present physical voucher (emailed) to upon being seated • 5. Diners MUST order and utilise voucher within the promo off-peak period chosen. Any unused amount will be forfeited • 6. Vouchers may be combined • 7. Not valid with promotional-priced or discounted items (check with staff for clarification) • 8. Voucher valid for 90-days from purchase date • 9. Diners using voucher should only arrive minimum 15 minutes before actual reservation time. We may only seat you with availability • 10. Diners who miss their voucher off-peak timings will have their vouchers forfeited. Save 10% off your total bill at ANY time. T&Cs 1. Purchase dining voucher for 10% less its value • 2. Applicable all-day timings (Mon – Fri 9:00am – 10:00pm; Sat, Sun & PH 10:00am – 10:00pm) • 3. Vouchers must be purchased Chope following table booking, prior to dining (last minute voucher purchases will not be accepted) • 4. Diners must present physical voucher (emailed) to upon being seated • 5. Any unused amount will be forfeited • 6. Not valid with promotional-priced or discounted items (check with staff for clarification) • 7. Voucher valid for 90-days from purchase date • 8. Diners using voucher should only arrive minimum 15 minutes before actual reservation time. We may only seat you with availability • 9. Diners who miss their voucher off-peak timings will have their vouchers forfeited. Purchase any 2 Breakfast main item and get the 2nd main free. T&Cs 1. Valid for food orders only • 2. Least expensive item will be complimentary • 3. Limited to one redemption per table • 4. Original voucher must be produced at the point of ordering • 5. Voucher cannot be exchanged for cash and not applicable with other discounts or promotions • 6. All prices are subject to 10% service charge and prevailing GST • 7. For dine-in only, from 9:00am – 11:00pm, Mon – Fri (except Public Holiday). Get a $10 Halia cash voucher for every $100 spent in a single bill. T&Cs 1. Present voucher before ordering • 2. Voucher cannot be exchanged for cash • 3. Not applicable with other promotions or banquet events • 4. Voucher may only be redeemed at next visit.